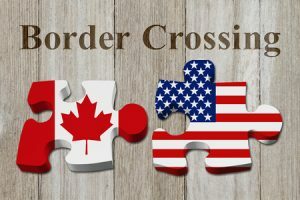 Car Shipping Across Country from Canada to the U.S.A. | Car Couriers Inc.
Ship Your Car from Canada to U.S.
Do you need to ship a single car or a fleet of cars from Canada to the United States? If yes, you have come to the right place! Car Couriers, Inc. of Cremona, AB has helped countless clients ship their vehicles from Canada to the United States. From a simple transportation over the border of your personal car to transporting a bevy of vehicles for businesses, we we can help you every step of the way, and we offer free quotes! We help customers with a wide range of car shipping needs. From government transfers to car dealerships needing to move inventory from Canada to the United States to private individuals who need to their vehicle in the United States for practical or storage purposes, we work with clients of all types. Further, if you’re moving to the States or are going to university there or if you’re buying or giving a vehicle to a loved one in the States, we will make sure the vehicle gets to the right place. Routinely, we help snowbirds or customers vacationing in the States by shipping their vehicle to right to them. 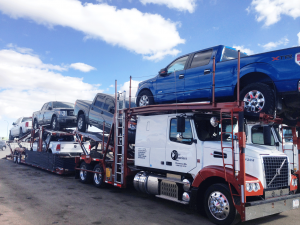 We also can help companies move fleets of vehicles to wherever they need to go in America. Regardless of your specific needs, we’ll get your vehicle safely and on time to its next destination in the States! A copy of your passport or a copy of your driver’s license and birth certificate is required. To make the border crossing as seamless as possible for our drivers, we prefer that you remove all personal belongings from your vehicle. In addition, it’s smart to check your gas and fluid levels before shipping it, and if your vehicle has any special requirements or nuances, please be sure to let us know. Also, it’s important to note that, per U.S. regulations, Canadians can have their car in the states under a Canadian registration and a Canadian driver’s license for up to year. After a year, you’ll need to register your car in the States and make sure it meets their safety and environmental standards. A family owned business, Car Couriers has helped customers ship their vehicles from Canada to the United States for over 20 years. We are renowned for our fast, timely deliveries and high quality service. Always, we stay up to date on the latest rules and regulations, and most importantly, customer satisfaction is always our number one priority!